The role of simulation has increased during the last few years due to an increasing complexity of components and the rising number of objects involved in large-scale systems. This book gives an introduction of utilising the High-Level Architecture (HLA, IEEE 1516-2000) to simulate an airborne radar federate able to detect objects on ground. 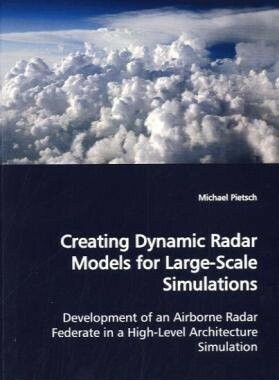 It provides an overview of HLA, giving engineers the ability to simulate complex systems in large networks with many simulation participants and introduces a common scenario to show the abilities of the aircraft-attached radar model.